Suitable for 1 cat or 2 very close one ! 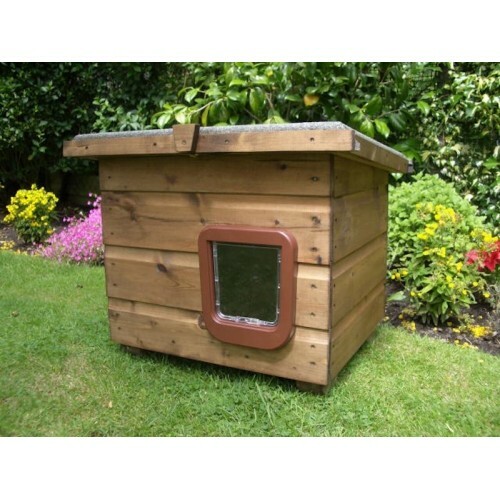 Cat house was delivered on time and really well packaged.I am truly thrilled with it and more importantly so is my little stray cat.The quality of the workmanship is outstanding.With the addition of some fleecy blankets and a pet wax hot bottle I know that she will be warm and dry during this cold weather.Thank you so much.. I was looking for a shelter for my cat as he is outside long hours. He had a catkabin but this is not warm in winter and most of it spiders and other bugs find this attractive to live in. Well the wooden chalet arrived the day I had been said it would to my home, as soon I've removed the packaging my cat was around looking how to get inside. 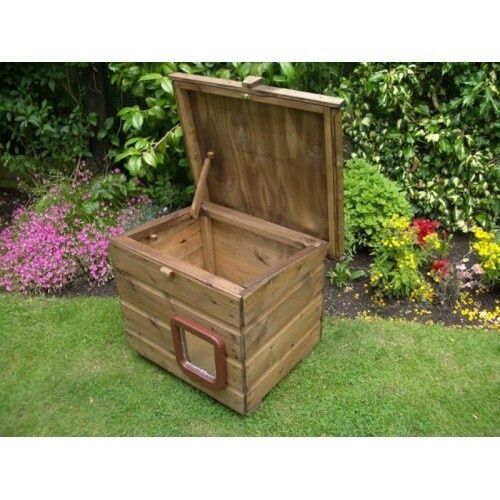 It is now in the garden looking gorgeous, the work is am..
My cat house is fantastic. Really well made, water tight and has enough to space inside for blankets. It comes fully made as well and quickly. A great company to deal with. .. This little cat out-house is brilliant. So well built, and 100% dry. I needed something for my cats outside to stop them toileting in our gravel. 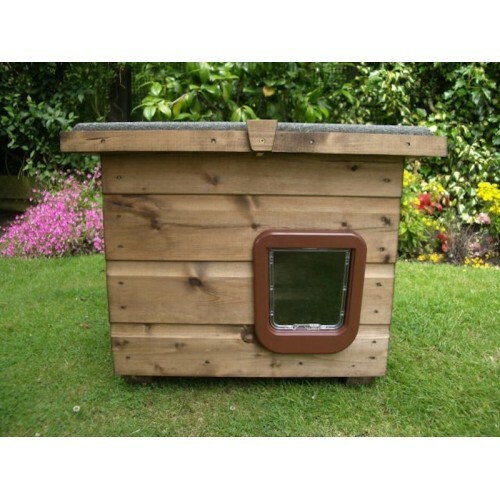 I put a small cat litter tray inside this cat house, and its brilliant. So easy to open, & comes ready assembled. Delivery was very quick, & well packaged. 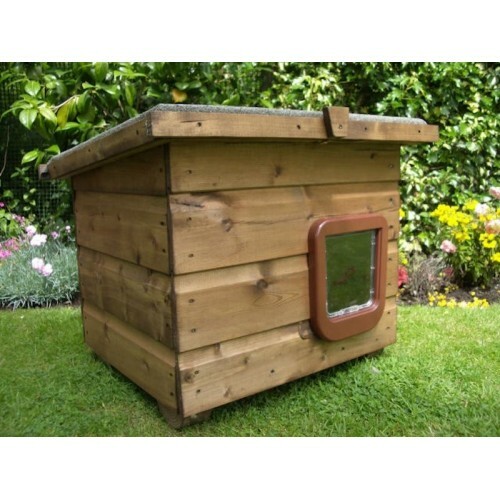 Highly recommend - be it for cat litter trays, or for a cat to keep dry & warm in. Also suitable f..